The Pick: Netflix got me again with their short, 30 second looping trailers with the pumping, genre-appropriate music. I was further intrigued by the face of the man or creature that appears on the cover art for the film. The satanic overtones proved to be too enticing, and Last Shift ended up playing on my television for this, the ninth night of Shocktober 2017. The Film: Directed by Anthony DiBlasi, Last Shift tells the tale of Jessica Loren (Juliana Harkavy), a rookie cop assigned to watch over a decommissioned police station on its final night of operation. During the night, Loren is anticipating the arrival of a Hazardous Materials team to dispose of some leftover evidence. On the surface, it's a straightforward task and Officer Loren is given only one directive by her superior; do not leave the police station. As the night begins, Loren finds the police station to be empty and quiet, as would be expected given the situation. Loren is surprised by the sudden intrusion of a homeless man who promptly urinates in the lobby. After moving the man to a holding cell, the night begins to further unravel. An emergency call is received at the station, despite having been told that all such calls have been rerouted to the new station. Chairs begin to move; closed doors are found open; and lights in the back of the station are found turned on. And then, there's the soft, ghostly singing that seems to waft forward from the deep, dark recesses of the station. 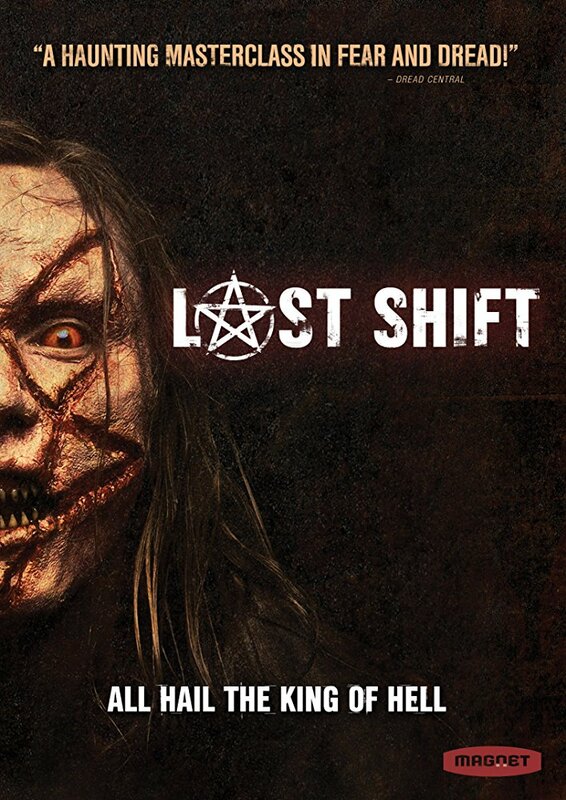 Without going into spoiler territory, the story told in Last Shift is engaging and tightly wound. DiBlasi competently uses an array of psychological thriller elements that certainly kept me engaged with the story. The film feels small and quaint; the single location of the police station is isolated and claustrophobic in the ways that the settings of many good horror films are. Further. as the sole character on screen for much of the film's run time, Juliana Harkavy does an admirable job remaining engaging and believable in her role as the beleaguered Officer Loren. The mature sensibilities of this character is key to the film's success, especially as the supernatural elements continue to pile up, and we see the toll of the night's events on Loren's frame of mind. Last Shift is a slow moving film, but one which uses its single location and atmosphere to its advantage. 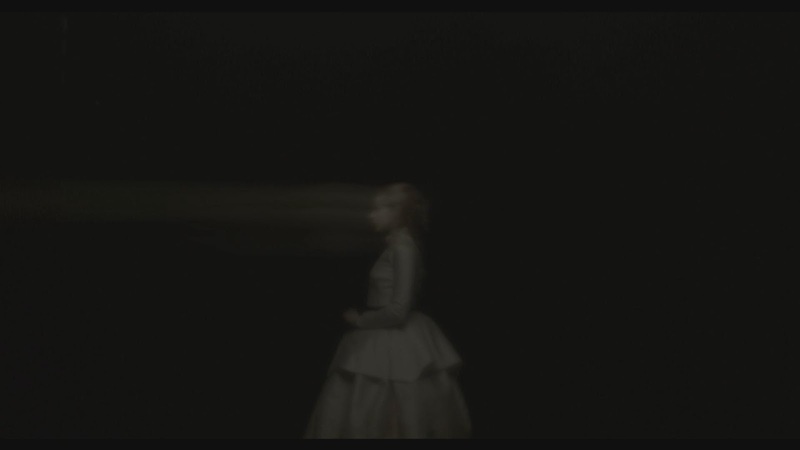 The supernatural elements of the story are used to good effect, creating an unsettling tone which only becomes increasingly disturbing as the events of the film unfold. The few special effects in the film are well used, and the late-film make up effects are suitably unnerving and horrifying. The less that you know about the story going into the film, the better I think you will enjoy it. The Pick: I found The Void on Netflix as I was flipping through, looking for Shocktober films. 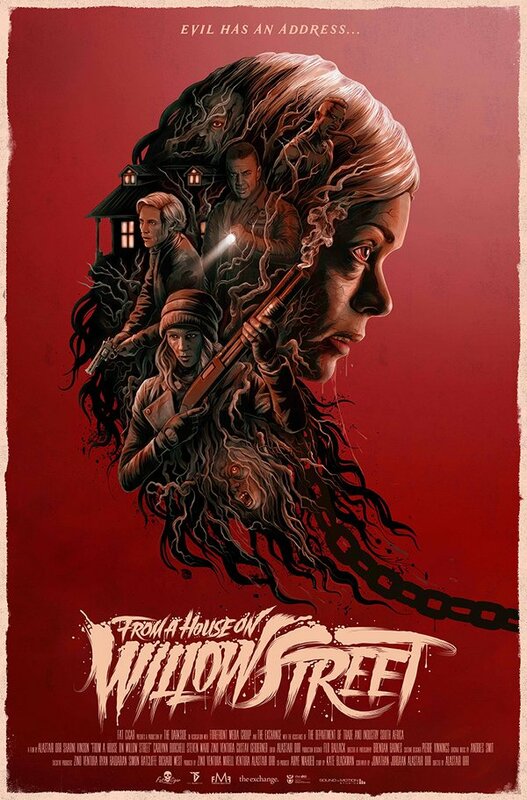 I quickly fell in love with the poster art; who doesn't love the promise of tentacles in their horror movie? Further, the backdrop of space hinted pretty strongly to me that I was in for some sort of cosmic terror story line that would likely do H.P. Lovecraft proud. The Film: Written and directed by Jeremy Gillespie and Steven Kostanski, The Void is clearly a labor of love. This is a low budget film that feels like a million bucks in terms of its scope, visuals, and practical effects. Interestingly, the film was partially crowdfunded on Indiegogo, where it raised $82,510 to help support its creature creation efforts. 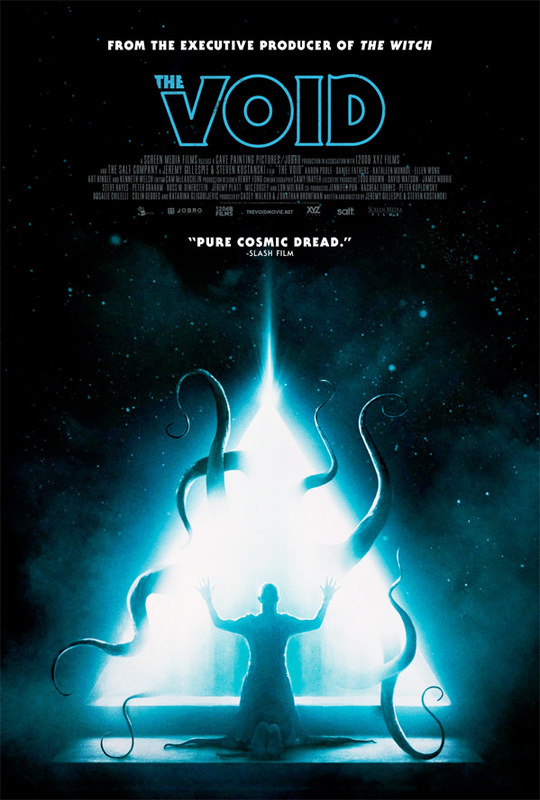 I couldn't find any records on the total budget of the film, but I find it unlikely that this crowdfunding was the sole source of financials for The Void, as its entry on Wikipedia seems to imply. The film is simply too well produced to have not received any additional funding. The story begins when small-town police officer Daniel Carter (Aaron Poole) comes across a badly injured man limping down an old backroad. Carter delivers the unknown man to the local hospital, where his ex-wife Allison (Kathleen Munroe) works as a nurse for the kindly old Dr. Richard Powell (Kenneth Welsh). There is an additional small cast of characters present, including Nurse Beverly, intern Kim, a pregnant girl and her grandfather, and patient Cliff. Not long Carter's arrival, the hospital is surrounded by a group of mysterious hooded figures, who seem bent on not allowing anyone to leave. 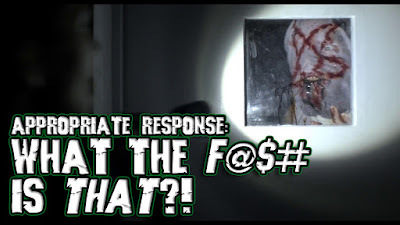 Without giving too much away, the group inside the hospital soon discover that the hospital is also inhabited by slimy, tentacled creatures, and the race for their survival is on. 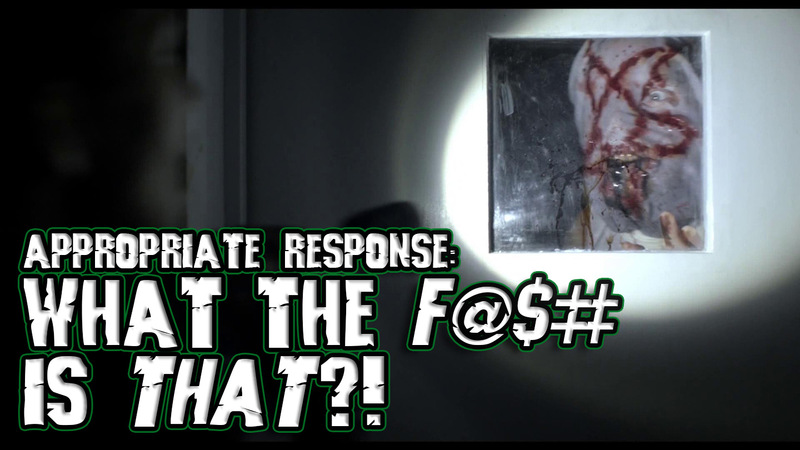 In terms of overall feel, I was reminded of John Carpenter's The Thing in several respects. The understaffed hospital is isolated and, although this film is not set in Antarctica, it becomes quickly apparent that our group of protagonists are just as effectively cut off from the outside world. Like Carpenter's classic, claustrophobia permeates this film, building an excellent sense of dread. Thankfully, Gillsepie and Kostanski never veer into spoof territory, and The Void is played completely serious and deadpan. As a final comparison to The Thing, The Void is full of the moistest practical creature effects that any horror fan could ever want. The majority of effects are done in camera, and look phenomenal. The camera work isn't trying to hide anything, and there are a good many long, steady shots of the creatures on display. You might be able to accuse them of intentionally under-lighting some of the effects, but given the overall confidence in their effects on display, I am personally happy to forgive this slight transgression. Horror genre fans will likely be pleased by The Void. It is not often that cosmic terror is depicted on film, and rarer still when these films are as well-made as is this one. The claustrophobic setting and the gratuitous creature effects kept me occupied for the film's duration, and I was left wanting more by the time the story came to its end. I don't think you can ask for much more from a film. 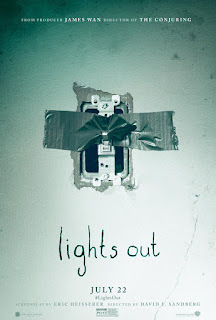 The Pick: Lights Out began life as a 5 minute short film, which I had the pleasure of stumbling across on one of my many journeys across the vast wilderness that is the internet. So impressed by the originality and execution of this short film, that I even wrote a quick blurb about it in a much earlier article on this very website! That said, I've been interested in this particular film for longer than I ever knew a feature-length film was to be based upon it. This Shocktober season seemed like the perfect opportunity to finally catch up. The Film: In some ways, the feature-length Lights Out film follows in the footsteps of classic supernatural slasher films, like Halloween, Friday the 13th, and A Nightmare on Elm Street. This is doubtlessly good company to keep. I really adore the underlying conceit at the heart of Lights Out, that of a monstrous creature that only physically exists in the absence of light. 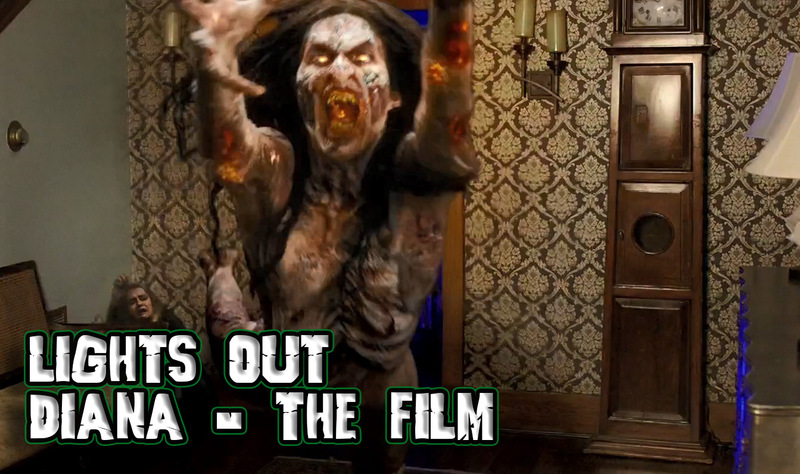 I thought it was interesting for the film to give its other-worldly shadow monster the name Diana. This alone makes it difficult to not want to draw comparisons to other named slashers, like Michael, Jason, and Freddy. It's that last one with whom Diana shares the most common ground, but even still, she remains a fresh and original entity throughout the film. The central conceit of the character remains a great concept, and it allows for some fun visual tricks that are well-mined throughout the length of the film. Still, the movie falls flat for me when it comes to basically everything aside from the basic nature of Diana. 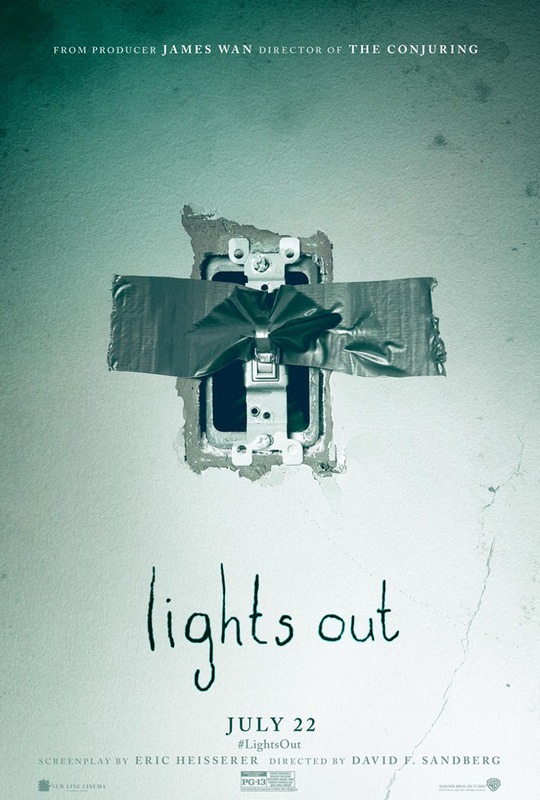 To be more specific, I really adored that concept in the Lights Out short, but was less fond of the complicated backstory added in the feature length film. Frankly, the medical science explanation of how and why this creature exists was a bit too goofy for my tastes. Still, Diana did get quite the upgrade if you're considering her appearance in the short as compared to the film. Further, I found most of the characters relatively one note and, frankly, boring. The main protagonist of the film also makes some off decisions once the nature of Diana becomes better known to her. Arming yourself with only a crank-operated flashlight with short battery life seems like a poor choice, especially when there has to be a Walmart with all the giant LED lanterns and size D batteries you could want within a 20 minute drive. Finally, and this may be verging on spoiler territory, but I also didn't care for the "relationship" that Diane shares with one of the other characters in the film. Namely, having Diane's physical manifestation be somehow linked to the expression of another character's mental illness. Admittedly, this isn't a story I've seen before, so while it does feel like original territory, I'm not sure a goofy slasher movie is the exact right cinematic vehicle for what is ultimately a pretty heavy message about mental illness and suicide. Between the two, I'd probably just watch the short again. Two Bruces. The Pick: This particular film has been on my radar for some time now. I remember watching a full trailer for it around the time that it originally dropped on Netflix, and I recall being intrigued by it even then. I think I may have read some less favorable reviews for the film, which resulted in delaying my watching of it, but that's what Shocktober was built for! 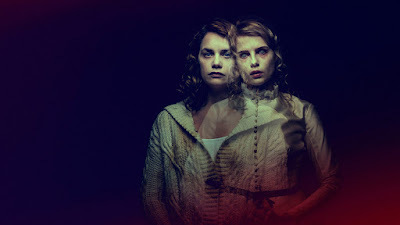 The Film: I am the Pretty Thing that Lives in the House begins with the introduction of our protagonist, Lily Saylor. Lily is a twenty-eight year old hospice nurse that has come to an old country farm house to serve as caretaker for the elderly Iris Blum, a famous author of horror and mystery stories. We know that Lily is twenty eight years old because she tells us soon after we first meet her in a sort of narrator voice over, which becomes the primary method of exposition delivery throughout the film. Chillingly, after telling us her age, Lily also tells us that she "will never be twenty nine." The artifice of Lily acting as our narrator, guiding us through this haunted tale, worked tremendously well for me. Although the styles are different, I was reminded of the sensibilities of noir, but here applied to a Gothic horror story. Much like a classic noir, much of the narrator's monologue lacks subtly but is delightfully hard-boiled, or on the nose. There is a sense of poetry to much of it: I have heard myself say / that a house with a death in it / can never again be bought / or sold by the living / it can only be borrowed from the ghosts / that have stayed behind. There are dueling veins of wonder and terror running throughout this steadily paced film. The tale that unfolds is deliberate, and depending on your tastes, you might accuse the film of being slow. No doubt, this is a ponderous film, but it invites you to soak in its wonderful atmosphere and palapable mood. In modern horror cinema, films of this ilk are few. From Lily's first night in the house, things are amiss. Small items are off: a carpet in the downstairs foyer is found with its corner constantly folded over; an ancient television can never quite find a steady signal; the receiver of a telephone is pulled by its cord and wrenched from Lily's hands; a troublesome mold spot begins to grow on one of the walls in the downstairs hallway. I think to say much more regarding the events of the film would be to give too much away. I am the Pretty Thing that Lives in the House is a finely crafted, atmospheric ghost tale. It won't appease those looking for a special effects showcase, like the Insidious or Conjuring films. Honestly though, there are enough movies like those. 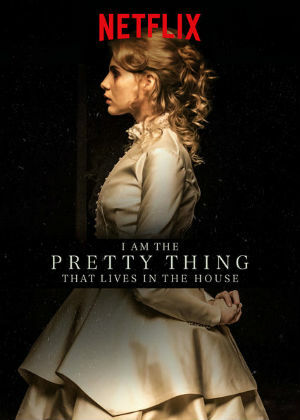 The best thing I can say about I am the Pretty Thing that Lives in the House is that I don't see nearly enough films like it. Fans of Shirley Jackson need apply.